^ Wildman, Burne-Jones, p. 42-43. ^ Dictionary of National Biography (1909), "Edward Burne-Jones"
^ Newall, Christopher (2004). 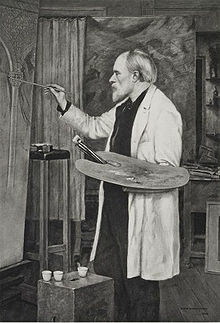 “Jones, Sir Edward Coley Burne-, first baronet (1833–1898)”. Oxford Dictionary of National Biography. Oxford: Oxford University Press. http://www.oxforddnb.com/view/article/4051 2008年6月22日閲覧。. ^ Flanders, Circle of Sisters, p. 118-120. Edward Coley Burne-Jones in the "History of Art"